Based on what I heard at yesterday’s Administration and Finance Committee meeting, I want to talk about our history and environment—because there are some things we must never forget. This campus opened in the shadow of Boston’s busing crisis, when mobs of grown white men and women just down the street attacked buses filled with Black schoolchildren. When Black people couldn’t walk to their jobs from Andrew Station without being threatened. When African-Americans couldn’t set foot on Carson Beach. When Boston politicians—including a future mayor—coddled or even joined the white rights group ROAR. When Ted Landsmark was beaten near City Hall by a lynch mob weaponizing an American flag. And of course Phil Johnston remembers the corruption that marred the initial construction of this campus. He cosponsored the legislation which established the Ward Commission, which revealed that $7.73 billion of the $17.1 billion spent on public construction was spent on projects with severe defects, and none more severe than those on this campus. Among university campuses, we’re special in the crimes of our construction. But those of us who have been involved with UMass Boston as long as I have also know that we rose up from the landfill, expanding our offerings and reach, providing an educational and cultural home to veterans returning from Vietnam, to adult inner-city learners with families and two jobs, and to first-generation urban kids thirsty for knowledge. And then came disinvestment. In the mid-90s, we received an engineering report citing the “imminent danger of collapse” of our underground garages—the foundation for all our buildings, and where I happen to work. We debated the meaning of “imminent” with Vice-Chancellor MacCormack, now of the EMK. We begged her to join with campus unions to lobby for funding to repair the garage. “No, don’t publicize it, we’ve got it covered,” we were told. They didn’t have it covered. State funding declined. Parking fees were increased to exorbitant levels to raise funds to repair the garage. Then after the death in the Ted Williams Tunnel of Costa Rican immigrant worker Milena Del Valle, the garage was abruptly closed by Chancellor Collins. Funds raised by parking fee increases were spent elsewhere. Really, a requirement for appointment to this board should be a tour of those garages. It’s like walking through the video game “Assassin’s Creed: Public Disinvestment,” but it’s not a game. I think we can safely say no other university in this state—public or private—has faced quite what we have in the effects of corruption and disinvestment. Not coincidentally, no other Massachusetts university boasts a student population like ours. We are 61% first-generation students, compared to 24% at UMass Amherst. We enroll 47% of all Black and African-American undergraduates in the entire UMass system, 39% of all Latinos, and 34% of all Asians, despite having only 23% of the system’s students. 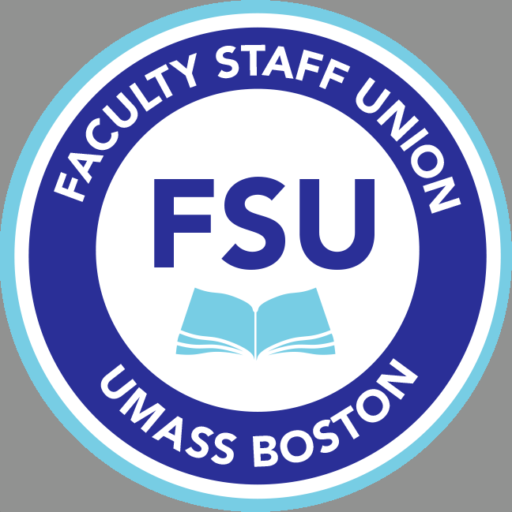 When it comes to the UMass system’s first generation students and undergraduates of color, we are indisputably the flagship, and I hope we can agree that the system cannot afford to let our sails be trimmed. Yet oddly the Secretary of Education has come to our convocation quoting—of all people—Henry Ford, that great admirer of Adolph Hitler who greatly admired him back, showing us tough love and telling us to trim our sails and do only what we’re good at. The thing is, we’re good at much more than workforce development. Having risen in the shadow of busing, we’re an uppity campus. We take working-class kids from the city, of every race and ethnicity, whose parents never went to college, and we teach them philosophy, classics, poetry, labor history, art, robotics, quantum physics, coastal ecology—obviously I could go on and on. Who tells Harvard or Bowdoin to focus on workforce development? Our faculty and staff are about building thinking, critical, educated citizens, without which the corruption and ignorance currently infesting the White House will become general throughout the land. Now some of us have spent a long time trying to figure out who’s at fault in the current crisis. If the national wave of regressive taxation and privatization— propelled by associates of people in this room—had never created Massachusetts’s structural deficit, we wouldn’t be having this conversation. But while we have some pretty good ideas about who shares the blame, one thing we know: exactly none is shared by our students, staff, faculty, or low-wage immigrant janitors—30% of whom have already been laid off. This board has been complicit in our predicament at least since the adoption of our 2011 strategic plan, and if this body cannot find the strength to publicly defend our unique mission, to worry even more about our students, staff and faculty than about our bondholders, to go on record in favor of every initiative— from New York’s recent free tuition legislation to Massachusetts’s Fair Share amendment, which would help restore the “public” in public higher education—if you all can’t do that, then I don’t understand what it is you do. I therefore end with a single question: how many people here believe that the Board must shoulder some responsibility for resolving this crisis without harm to our students, staff, faculty, and mission?